Snider’s works have been commissioned and performed by the New York Philharmonic, the San Francisco Symphony, the National Symphony Orchestra, the Detroit Symphony Orchestra, the Indianapolis Symphony Orchestra, the St. Paul Chamber Orchestra, and the North Carolina Symphony; the Residentie Orkest Den Haag, Aarhus Symfoniorkester, Britten Sinfonia, and National Arts Centre Orchestra; violinist Anne Akiko Meyers, percussionist Colin Currie, and vocalist Shara Nova (formerly Worden); A Far Cry, Ensemble Signal, The Knights, yMusic; Roomful of Teeth, Cantus, and Trinity Wall Street Choir; and many others. Conductors who have championed her work include Andreas Delfs, David Danzmayr, Andre dé Ridder, Giancarlo Guerrero, Grant Llewellyn, Rossen Milanov, Edwin Outwater, and Leonard Slatkin. Her music has been heard in concert halls around the world including Carnegie Hall, the Elbphilharmonie, Lincoln Center, the Kennedy Center, and Wigmore Hall; and at festivals such as Big Ears, BAM Next Wave, Aspen, Ecstatic, Colorado, Cross-linx, Sundance, BAM’s Crossing Brooklyn Ferry, Bang On a Can Summer, Liquid Music, 21C Liederabend, SONiC, New York Festival of Song, and Zurich’s Apples & Olives. Penelope, her acclaimed song cycle inspired by the faithful wife in The Odyssey, has been performed over forty times in the United States and Europe. Recent world premieres include Embrace, a 40-minute orchestral ballet for the Birmingham Royal Ballet(UK) with choreographer George Williamson, at Sadler’s Wells Theatre in London; Mass for the Endangered, a 38-minute work for Trinity Wall Street Choir and NOVUS NY, conducted by Julian Wachner, on text about endangered animals by Nathaniel Bellows; The Blue Hour, an evening-length collaborative song cycle for Far Cry string orchestra and vocalist Luciana Souza on poetry by Carolyn Forché. The 18/19 season world premieres will include You Must Feel With Certainty, commissioned by the Guggenheim Museum for VOX Vocal Ensemble on text by painter Hilma af Klint to celebrate her Guggenheim retrospective Paintings for the Future; a work for flute and piano for flutist Allison Loggins-Hull; and a new arrangement of Snider’s song cycle Penelope for a new staged production by Kansas City Lyric Opera. Upcoming projects include Tongue of Fire, an opera on 12th century visionary/abbess/composer Hildegard von Bingen commissioned by Beth Morrison Projects, with a grant from Opera America, to premiere at Prototype Festival in January 2021. Other 18/19 season highlights include nine performances of Snider’s fourth orchestral work, Something for the Dark, including its European premiere with Maestro Andreas Delfs and the Aarhus Symfoniorkester at the Hamburg Elbphilharmonie. Commissioned by the Detroit Symphony Orchestra in 2014 when Snider won the Detroit Symphony Orchestra’s Elaine Lebenbom Memorial Award, Something for the Dark’s other performances will be given in the U.S. and Denmark by the Boulder Symphony, the Kansas City Symphony Orchestra, the Rutgers Symphony Orchestra, the Mannes Orchestra, and the Aarhus Symfoniorkester. 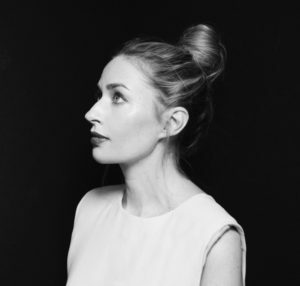 Her 27-minute work for orchestra (and optional film by Mark deChiazza), Hiraeth, originally commissioned by North Carolina Symphony and Princeton Symphony Orchestra, will be performed by the Arapahoe Philharmonic and the Columbia Orchestra. In addition to the Kansas City Lyric Opera’s new production, her song cycle Penelope will also be toured in Holland’s renowned Cross-linx Festival, by soprano Nora Fischer and the Doelen Ensemble, and performed by soprano Mary Bonhag and TURNmusic in Vermont. Recent performance highlights include a new European production of her acclaimed song cycle Unremembered at Germany’s Podium Festival and Holland’s Oranjewoud Festival in spring 2018, and the 2017 tour of the album production of Unremembered in the U.S. and Europe—in which vocalists Padma Newsome, Shara Nova, and D.M. Stith gave twelve performances with various ensembles at venues including Knoxville’s Big Ears Festival (with The Knights), Liquid Music (with the St. Paul Chamber Orchestra), the SHIFT Festival (with North Carolina Symphony), and Holland’s Cross-linx Festival (with the Doelen Ensemble and Codarts Rotterdam). 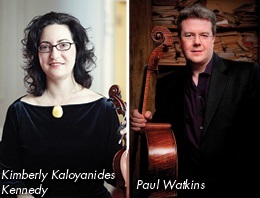 Other recent highlights include the UK premiere of Penelope with mezzo-soprano Jessica Walker and Psappha; the National Symphony Orchestra and Detroit Symphony Orchestra (under Leonard Slatkin) performances of Something for the Dark; the New York Philharmonic’s CONTACT series performance of her chamber work Thread and Fray; and the BAM Next Wave Festivalpresentation of Ouroboros, part of Epiphany, an immersive multimedia installation for the Young People’s Chorus of New York. The 2014 winner of the Detroit Symphony Orchestra’s Elaine Lebenbom Memorial Award for female composers, Snider has also received grants and awards from Opera America, National Endowment for the Arts, New Music USA, the Sorel Organization, and the Jerome Composers Commissioning Fund, as well as Yale School of Music prizes and young composer honors. She was recently named one of the “Top 35 Female Composers in Classical Music” by The Washington Post, and in 2011, was one of three composers spotlighted in the NPR feature “100 Composers Under 40.” For the 18-19 season, Snider will be Composer-in-Residence at University of Colorado-Boulder College of Music, as well as a featured guest composer at Knoxville’s Nief-Norf Festival. Snider was also Co-Composer-in-Residence at the Bowling Green State University New Music Festival in 2017, and guest composition faculty at the 2018 HighSCORE Festival in Pavia, Italy. She has also served as guest composer faculty at the So Percussion Summer Institute for the past five years. January 2020 will see the commercial release of Snider’s third full-length album, Mass for the Endangered. Performed by Trinity Wall Street Choir and NOVUS NY under the direction of Julian Wachner, the album will be co-produced by esteemed choral conductor Gabriel Crouch and Snider, and engineered by Andrew Mellor. 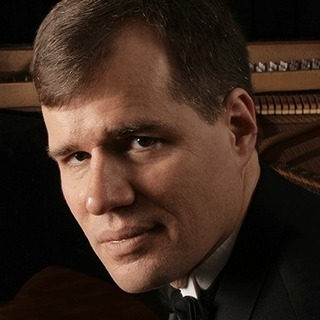 Other forthcoming commercial recordings of Snider’s work include Something for the Dark, recorded by the North Carolina Symphony for release TBD; You Are Free and Thread and Fray, recorded by Latitude 49 for release TBD; Ballade, recorded by pianist Nicholas Phillips for release on Blue Griffin Records in 2020; and The Reserved, the Reticent, a solo cello piece recorded by Caitlin Sullivan, for release on New Amsterdam Records in 2019. Snider’s music can also be found on the 2014 Grammy-Award winning eponymous album by vocal octet Roomful of Teeth; yMusic’s debut record, Beautiful Mechanical; NOW Ensemble‘s third album, Dreamfall; pianist Michael Mizrahi’s sophomore release, Currents; and pianist Nicholas Phillips’s record Impressions (Blue Griffin). In addition to her work as a composer, Snider is a passionate advocate for new music in New York and beyond. From 2001 to 2007, she co-curated the Look & Listen Festival, a new music series set in modern art galleries. Since 2007 she has served as Co-Director, along with William Brittelle and Judd Greenstein, of New Amsterdam Records, a Brooklyn-based independent record label recently called “the focal point of the post-classical scene,” (Time Out New York) and “emblematic of an emerging generation” (The New York Times), and praised for “releasing one quality disc after another” (Newsweek). In 2011, New Amsterdam created a separate, non-profit organization for its presenting work; in 2017, New Amsterdam revamped its model to function as an all-in-one non-profit record label, presenter, and artist service organization. Born and raised in Princeton, New Jersey, Snider has an M.M. and Artist Diploma from the Yale School of Music and a B.A. from Wesleyan University. In 2006 she was a Schumann Fellow at the Aspen Music Festival. Her teachers included Martin Bresnick, Marc-Andre Dalbavie, Justin Dello Joio, Aaron Jay Kernis, Ezra Laderman, David Lang, and Christopher Rouse. She lives in Princeton with her husband, Steven; son, Jasper; and daughter, Dylan. Her music is published by G. Schirmer.